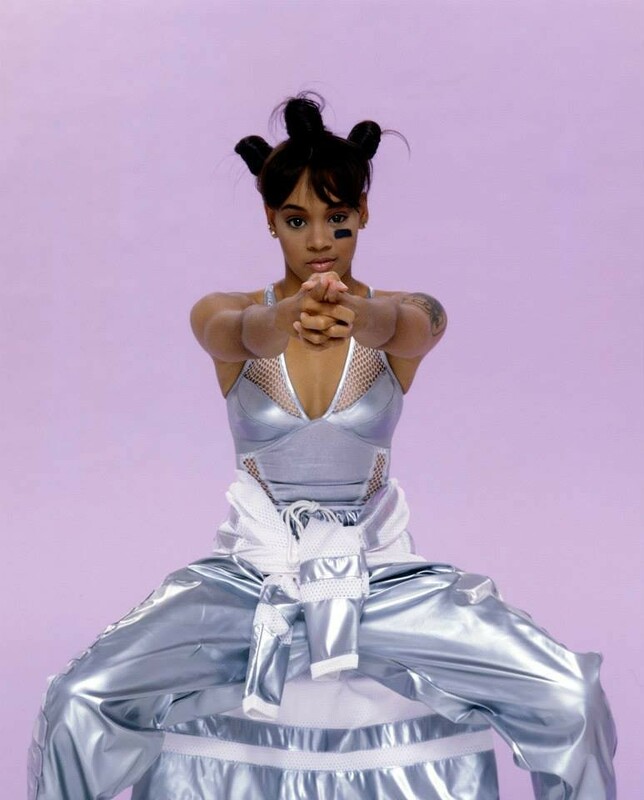 The Tumblr blog, Institute for Y2K Aesthetics, is one of the most hypnotic and engrossing wormholes the internet has to offer, anthologizing the glorious visual culture of the late 90s-early 00s, "when the future was tight leather pants, silver eyeshadow, shiny clothing, Oakleys, gradients, and blobby electronics." Scrolling through images of Baby G watches, Britney Spears cradling a robot dog, a shimmering pink bean-shaped Walkman, inflatable backpacks, Da Brat wearing a bindi, and a Pokemon edition VW Bug, you move past the nostalgia, and begin to wonder genuine awe... was this really us? To better understand the tenets of Y2K aesthetics and the forces that converged to bring us minidisk players and Eiffel 65, we had a chat with the blog's founder and millenial mastermind, Evan Collins. Your blog is much more formal and rigorous than your typical single-topic nostalgia Tumblr. I read all the rules for submission on the affliated FB group and they're quite specific! How did you become such a scholar of this time period, and what fascinates you about it? I became involved with the vaporwave scene online, primarily on r/vaporwave and in some Facebook groups. That interest led me to think about the zeitgeist of particular time periods (how vaporwave creates a certain feel of a time by sourcing particular materials). I realized that the late 90s/early 00s hadn't been explored/researched in the vaporwave scene as much as prior eras (80s-mid 90s). I grew up during that time, but being a child for most of it meant I didn't pay much attention to art/music/design. Back in August 2014, I was watching a pretty cheesy music video for 'Out of Your Mind' by Victoria Beckham, and thinking about how prevalent that 'futuristic' look was back them. I decided to make this quick photoshop collage to get a sense of the 'millennium/y2k aesthetic'. After I posted it to the vaporwave subreddit, people seemed interested and wanted to see more examples, so I started to search further. I became a bit obsessive, collecting the ~900 examples seen in this imgur album in October 2014 (I realize now that some of them aren't spot on, though). From that point on, I just kept collecting more and more examples from every field (architecture, art, fashion, industrial design, cars, music, etc.). I guess what keeps me invested in the period is the search for every little lost/obscure item, and the desire to develop a complete understanding of the era. So much material from that time is just lost due to lack of archiving, low-resolution uploads, and now-incompatible media formats, it becomes an exciting challenge just to find something intact. I also find it fascinating how ephemeral the aesthetic was, and how completely forgotten it seems now. Based on your findings, when did the Y2K aesthetic begin and end? When did it peak? While there were some progenitors of the aesthetic in the late 80s and early 90s, it really took off from about 1993-on. It gained steam throughout the mid-late 1990s, peaking in late 1999/early 2000, coinciding with both the millennium, and the apex of the dot-com boom. The bursting of that bubble, along with events like 9/11 / anthrax attacks / contentious 2000 election, hastened the end of the aesthetic, though it lasted to ~2003 in some design fields. 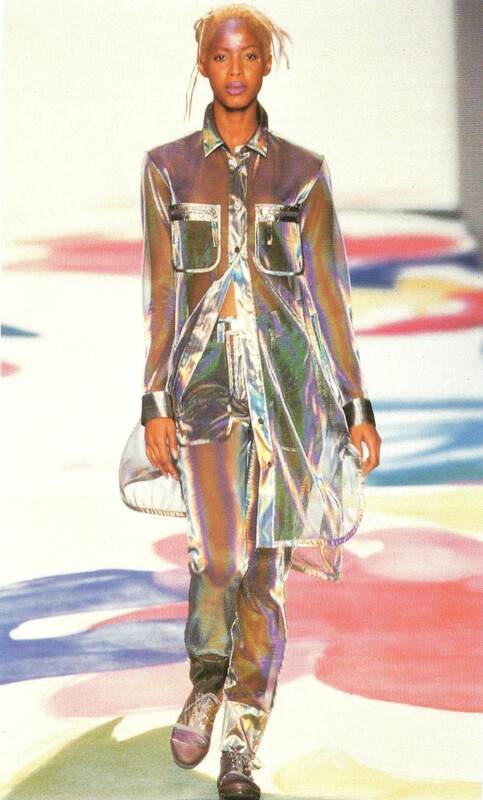 Can you define some key traits of the Y2K aesthetic? Are there different strains within it? 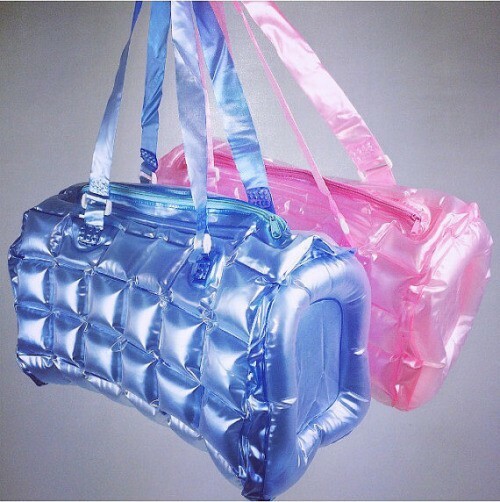 'Techy' accessories like these translucent inflatable bubble bags, The Boblbee backpack, inflate bags, CD players, and side bags. 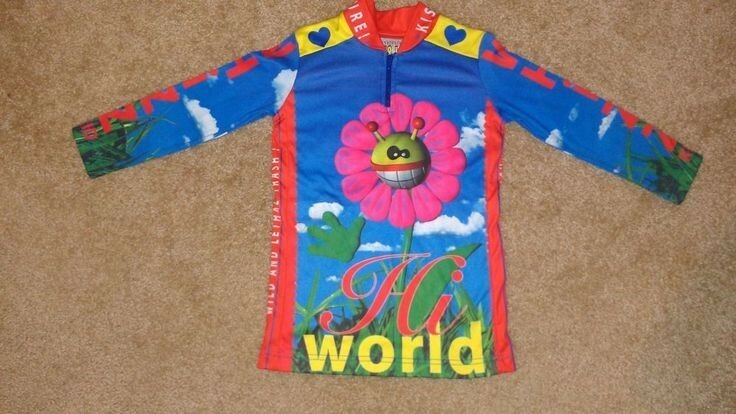 'All-over digital prints' on clothing, meaning y2k-era cgi, fonts, and high-res imagery printed on clothing. Metallic makeup like Urban Decay, in silver, white, bluish-white, and shiny gel-look for lips. Glitter. 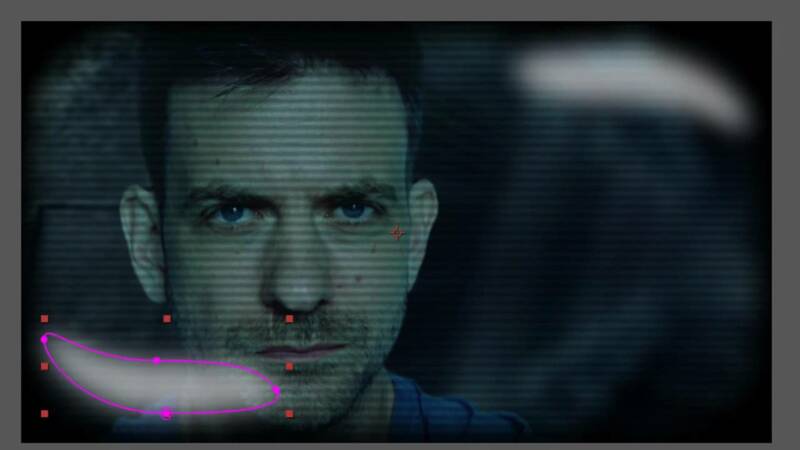 Gradients - Color, opacity, etc. gradients appear all over the place in y2k design, like this bridge design for london. 'Futuristic' / Techno fonts, shiny sleek 3D text and interfaces - fonts like 'Aura Oblique', usually curvy, italicized with a sense of motion or excitement. In addition, fonts that seemed 'digital' or high-tech, like Dr. No-b, or even older 'technological' fonts that were re-used in the y2k era like OCR-A. 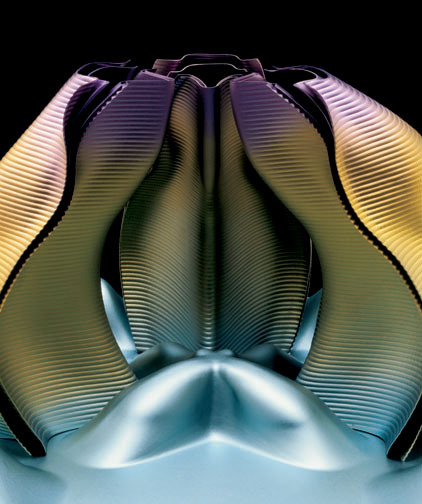 Interfaces also had a futuristic look, like all the skins for Winamp, the Neoplanet browser, and Mac OS X 'Aqua'. Rave culture influence - in fashion, commercial graphics inspired by rave flyers, etc. 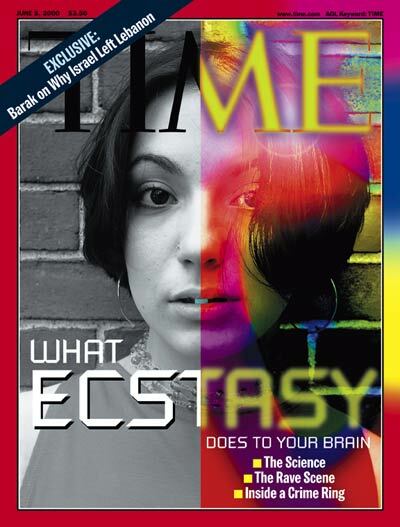 'Ravers' were one of the hip youth subcultures of the y2k era, even had a mention on the cover of TIME Magazine in 2000. Future-optimism - techno-utopian imagery was all over the place, in art by Micha Klein for example, and Do Something by Macy Gray. This had to do with the sense of peace and prosperity that came with the post-Cold War era, and the economic boom of the 90s, particularly all the dotcom and 'new economy' hype. People thought the prosperity may never end. Tribal/World influence, with a futuristic twist - Like Qkumba Zoo, the previous mentioned Micha Klein artworks, Gwen Stefani's bindi, which also appeared in rave culture too. Space themes - Y2K Aesthetic definitely had some inspiration from the 60s space age (30 year revival cycle). Mars was of particular interest in the y2k era (Mars 2112 restaurant, all the movies set on Mars released around 2000), probably due to all the space missions there. 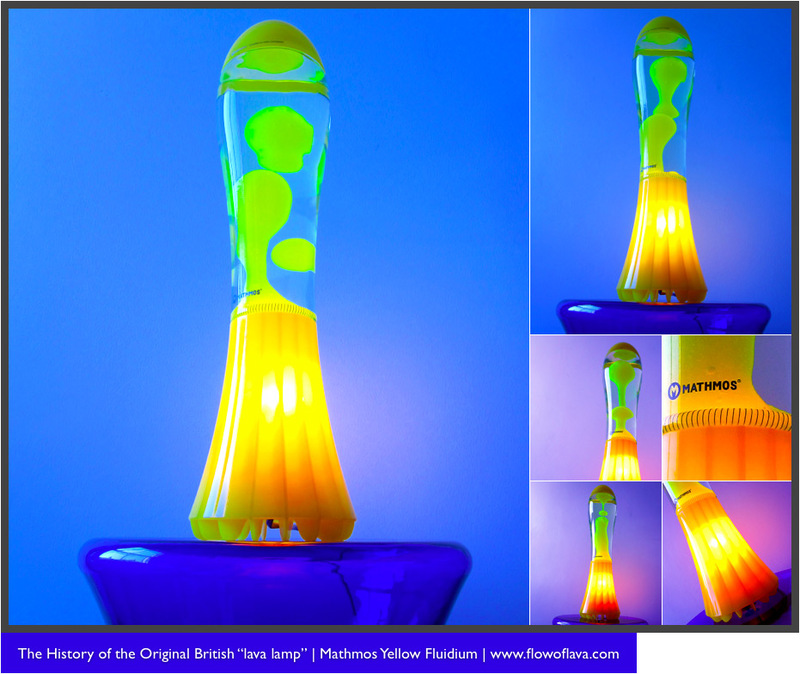 Revival of 60s space age & 70s futurism - The revival of lava lamps with a y2k twist, metallic/synthetic clothing, curvy designs and furniture, etc. but updated with new color schemes, technology, and ideas. 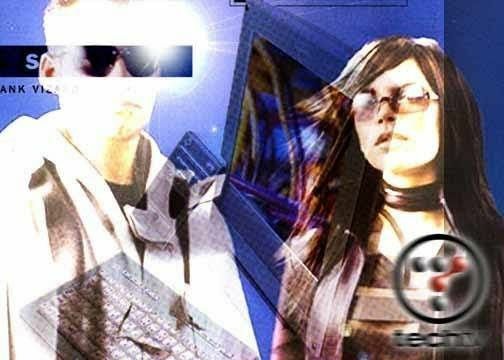 'Surreal' CGI - Just like the graphics of the 80s and early 90s have their own distinct look based the capability and technologies of their time, y2k-era computer graphics have a certain surreal, fake, and collaged appearance. CGI was becoming more sophisticated, but is wasn't nearly as photorealistic as today's CGI, as you can see in this music video compilation from the blog. 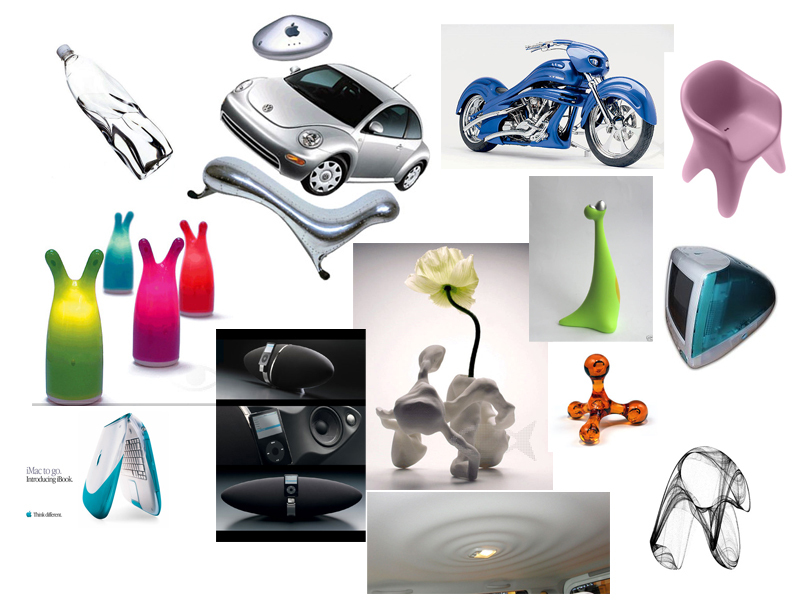 A lot of these trends have to do with the emergence of capable CAD systems, 3D modeling-software, and Photoshop, After Effects, and better video editing software in the early 90s, which enabled designers to experiment with translucency, gradients, overlays, blurs, effects, 3D blobs, stretching, perspective warping, lens flare, etc. 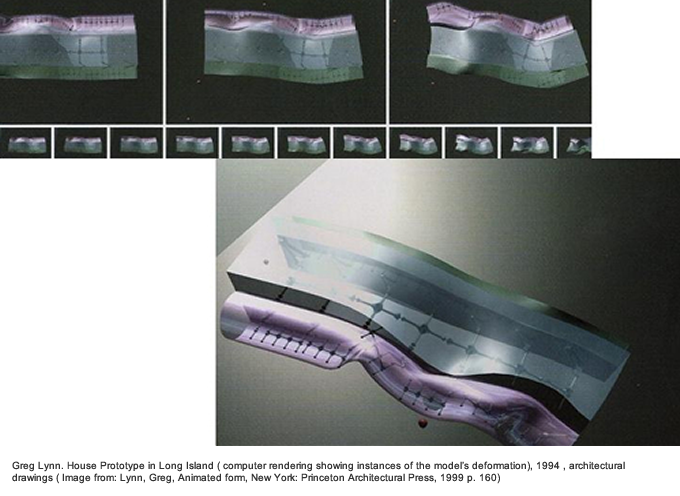 What music videos/films/products/artifacts would be included in the Y2K Aesthetic Institute text book? 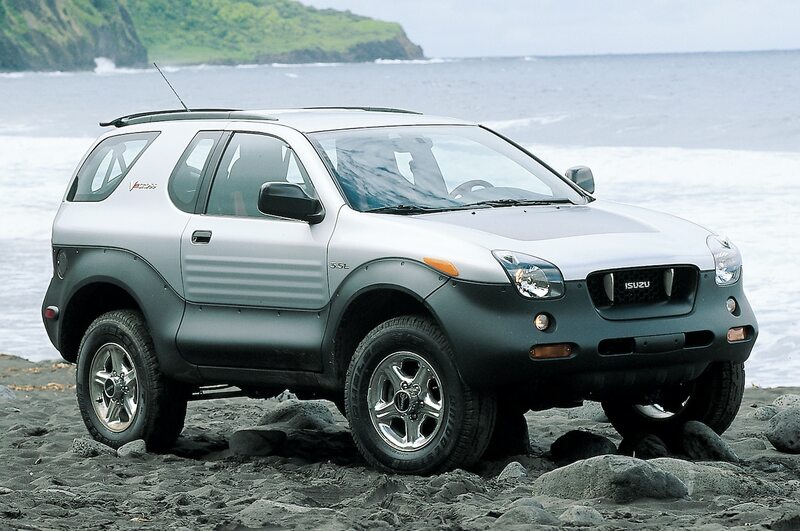 Pretty much all the ones I linked; this time period was so prosperous and flush with cash to throw at any idea you could imagine, it generated tons of products (and many failed ones - vaporware is a hallmark of y2k aesthetic). If fashion works in 20 year cycles, and tattoo necklaces have already made a comeback, it seems like we're on track for a full-blown Y2K revival. 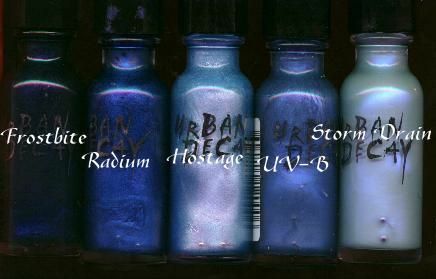 What would you like to see return, and what should stay in the past? I try to not look at the time period with rose-tinted nostalgia glasses, it certainly had it's fair share of problems as we do now. 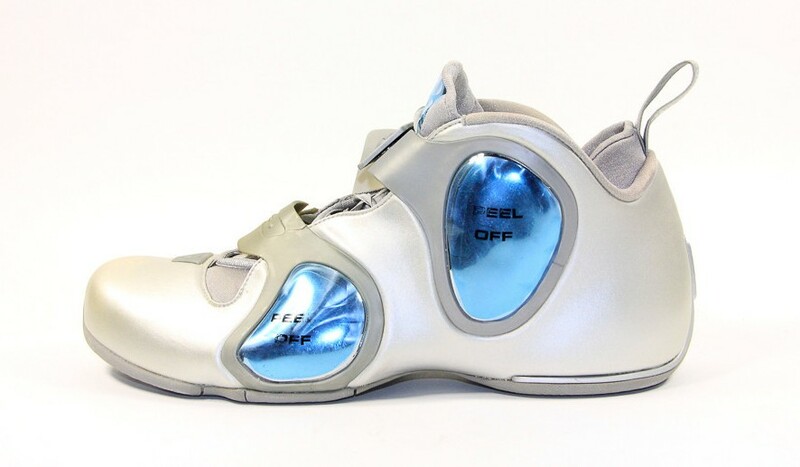 The ideas/designs/subcultures that made up y2k were really a minority back then, it was a niche movement within the larger context of more conservative late 1990s American culture. While I wasn't old enough back then to really gauge the overall feel and zeitgeist of the time, I would love to see a revival of that feeling of acceleration, excitement, and optimism towards the future.